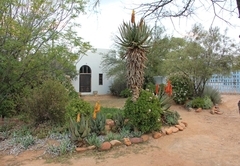 Moroc-Karoo Guesthouse is a highly recommended guest house with self catering option, providing accommodation in Oudtshoorn for tourists visiting the Karoo region. 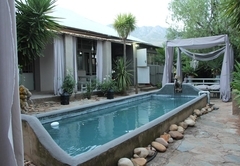 Moroc-Karoo can be found in the stunning Cango Valley, 45 kilometers from Oudtshoorn, right beneath the historic Swartberg Pass and just around the bend from the world renowned Cango Caves and Gamkaskloof (Die Hel). It offers comfortable farmstay accommodation for your next breakaway with your family and friends, or alone with your significant other. 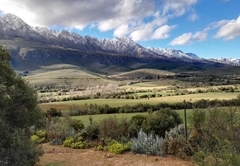 Oudtshoorn is the largest town in the Little Karoo, situated along the well known Route 62. It has the largest ostrich population in the world, featured at a number of excellent ostrich show farms around the town. 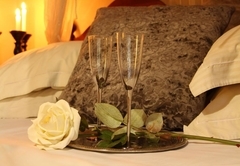 Choose from one of three en-suite luxury rooms in the Farmhouse. 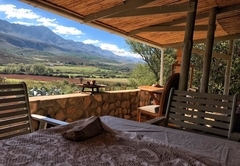 Moroc-Karoo offers magnificent close-up views of the mountain, warm farm stay hospitality, and unique arty down-to-earth elegance in the countryside. 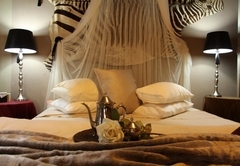 Come and embrace the simplistic elegance of the Klein Karoo, far away from the glitz and complexity of city life. In summertime you can submerge yourself in our cool splash pool and when the Karoo puts on her snowy winter coat, you can cosy up to the fireplace while sipping on a glass of world renowned port. 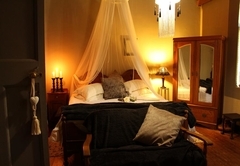 These B&B rooms have a King-size bed (can be converted to twin beds) and an en-suite bathroom with either a bath or a shower. 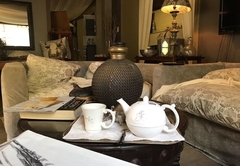 The room boasts coffee and tea amenities, dry breakfast, own entrance and either a courtyard or garden view. 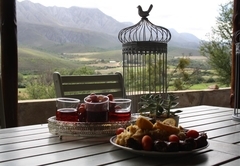 This self catering cottage has magnificent mountain and valley views. There is a Queen-size bed in an upstairs bedroom with an en-suite bathroom and a seating area with a double bed downstairs. 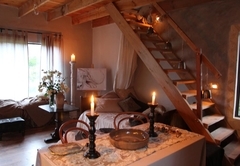 The cottage has a seating area on the balcony, an open-plan dining and a seating area with a kitchenette. Breakfast, dinner and picnic baskets available on request. 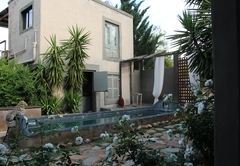 King size bed (two can be converted to twin); en-suite bathroom (with either bath or shower) coffee and tea amenities; dry breakfast; welcoming snack platter; own entrance; either courtyard or garden view. 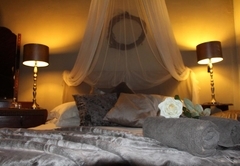 Magnificent mountain and valley view; queen bed in bedroom upstairs with en-suite bathroom; bath with view; seating area on balcony downstairs: open-plan dining and seating area with kitchenette; Double bed in seating area. 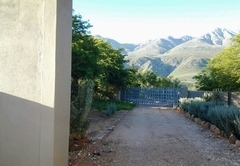 Moroc Karoo Guest house was an absolute jewel of a find, tucked away in a small valley situated in the Small Karoo 30km from Oudtshoon was a perfect getaway from the hustle and bustle of everyday life. 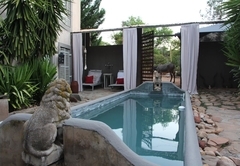 Janine was the perfect host from the time she welcomed us to her Moroccan styled guest house to when we left, great ambience, wholesome breakfast and a great Ostrich Goulash served on the veranda. 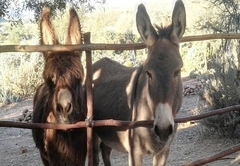 Response timeMoroc-Karoo Guesthouse typically responds to requests in 5-10 minutes.